(See Fig. 1). When the oven is on, warm air passes through the vent. baking results. DO NOT BLOCK OVEN VENT. slide out. To replace, fit the rack onto the guides on the oven walls. Tilt the front of the rack upward and slide the rack back into place. to reach around the food. 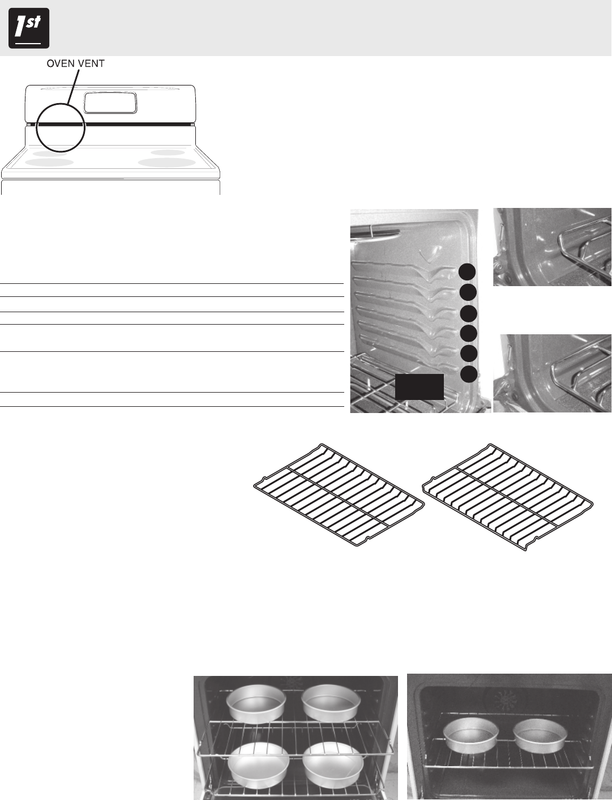 results when using a single Flat Oven Rack, place cookware on rack position 2 or 3 (See Fig. 8). shelf rests over the front ends of the oven rack glides on both sides of the oven interior (See Figs. 3 & 4).